GN oil sludge treatment plant is mainly used to recover the valuable oil in oily sludge so that recovered oil could produce more economic benefit. In the meanwhile, waste discharging would be greatly reduced. Recently, GN finished the fabrication of 1 set oil sludge treatment plant. The system now is under the final assembling and factory test procedure, later will shipped out of China. GN oil sludge treatment plant is mainly used to recover the valuable oil in oily sludge so that recovered oil could produce more economic benefit. In the meanwhile, waste discharging would be greatly reduced. Recently, GN finished the fabrication of 1 set oil sludge treatment plant. The system now is under the final assembling and factory test procedure, later will shipped out of China. This week, GN solids control finished the fabrication of 10 sets decanter centrifuge for one client from Middle East. All the decanter centrifuges are VFD model with high standard IEC explosion proof for hazardous area with wide temperature scope application. 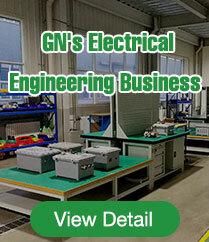 This is a repeated order from the client; actually, repeated orders take a large part in GN’s sales. That is the positive response from client on GN product. OTC is one of the largest events in the world for the oil and gas industry. 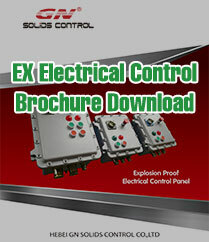 As usual, GN Solids Control will attend the show there and bring new products. GN is going to have 2 booths this year, same as last year, please refer below information that will guide you to GN's booths. 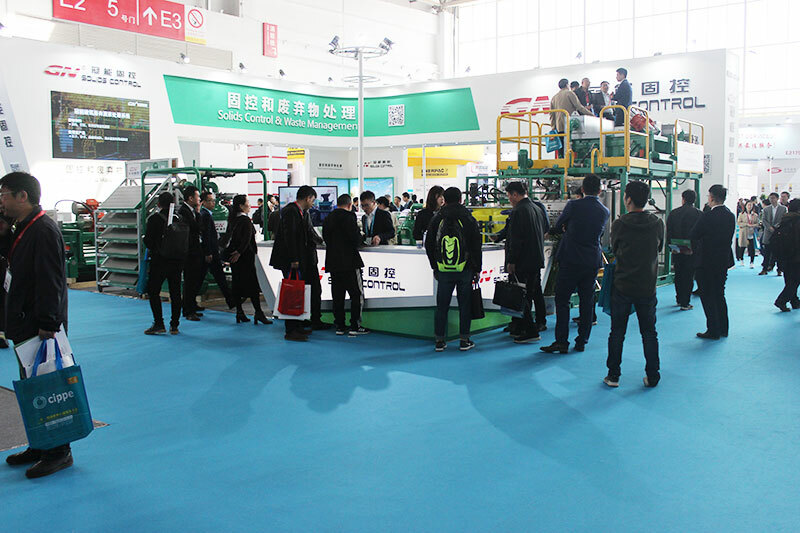 The annual oil festival, the 2019 Beijing Petroleum Exhibition is about to close. 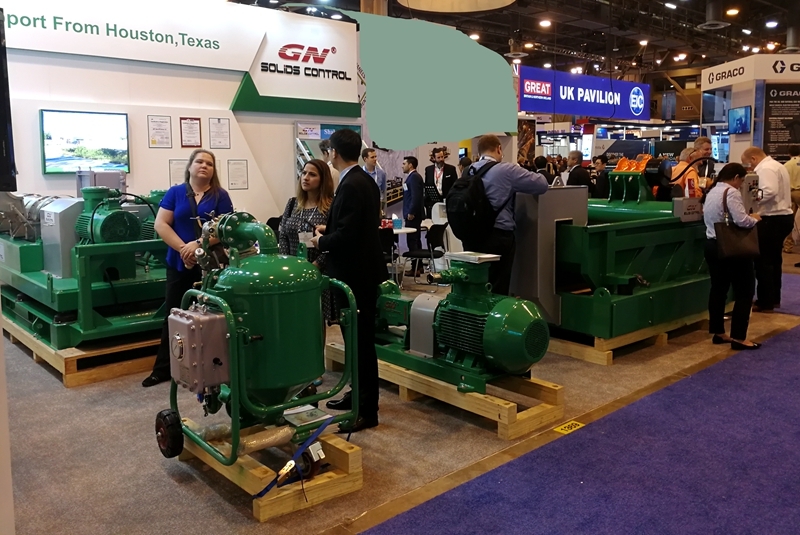 At the CIPPE oil show, GN exhibited a strong product lineup. Including: oily sludge treatment system, solid vacuum pump, shale shaker, big bowl high-speed decanter centrifuge, centrifugal pumps, shaker screens, screw conveyor, vertical cuttings dryer. Among them, the oily sludge treatment system has received extensive attention from customers. With the gradual landing of national environmental protection policies, the demand for oily sludge treatment equipment is growing. GN oily sludge treatment system is an efficient treatment process. It is widely used to treat tank bottom sludge, refinery sludge, drilling cuttings and so on. 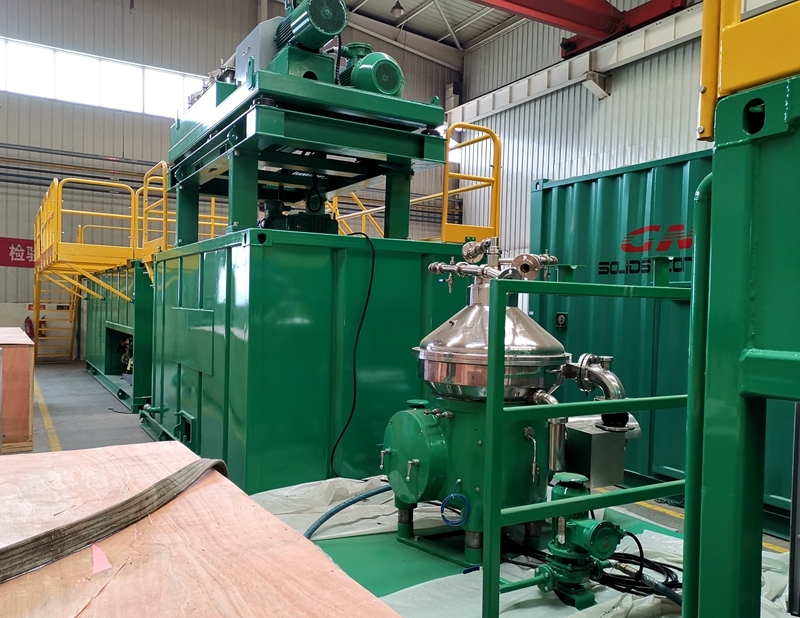 The treatment method is mainly by heating and chemical washing, and then removes big sand by shale shaker, the decanter centrifuge, and the three-phase centrifuge for oil, water and soil separation. The oil obtained after separation can be sold to the refinery, the water can be reused in heat washing system. The oil content of the solid phase is less than 2%, which can be further processed by thermal desorption or biodegradation to an oil content of less than 0.3% to meet the requirements of harmless treatment. Another product that has received widespread customer attention is the solid vacuum pump. The solid vacuum pump is a product developed by GN in the recent year for the solid and high solids material transportation in the petroleum industry. It is characterized by strong self-priming ability, long transport distance, and ability to transport solids and high solids materials. The solids vacuum pump is widely used in clearing operations, cuttings transportation, oily sludge transportation, and remote transportation of mud. Regarding drilling solids control and drilling waste management, GN optimized the design of shale shakers, decanter centrifuges, and drill cutting dryers. 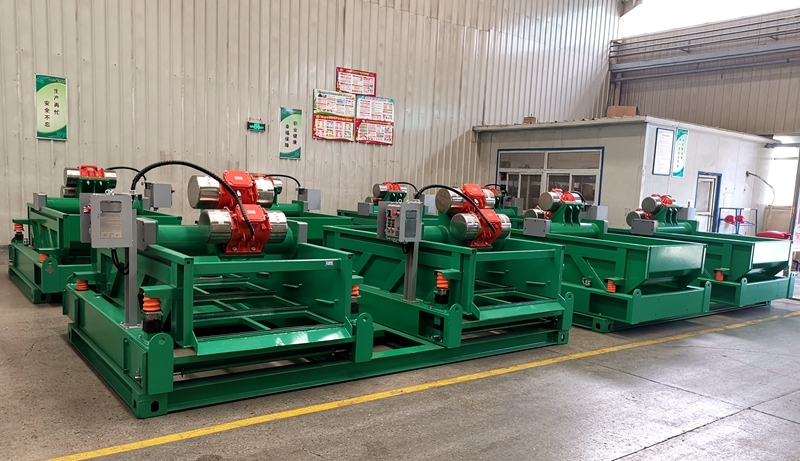 The optimized shale shakers are with fast screen changing, and the screens are repairable, which greatly prolongs the service life of the screens. Moreover, it can be equipped with a vacuum adsorption device to more effectively improve the recovery of drilling fluid and reduce the cost of drilling waste disposal. 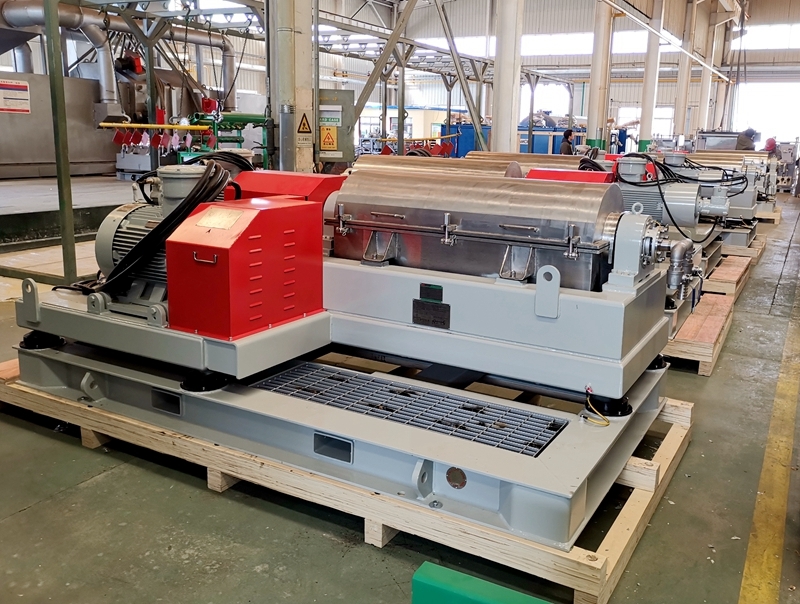 According to the market demand, GN has developed a big bowl, high speed, large aspect ratio decanter centrifuge for mud dewatering treatment and more effectively treat the aging drilling fluid. As a well-known manufacturer of drill cutting dryer, GN drill cutting dryer is further optimized to prevent material blockage and reliability. This week, GN finished the fabrication of tandem shale shakers for one Middle East oilfield service company. Now the equipment is ready for shipment. The tandem shale shaker is to put 2 unit single shale shakers on one skid. Normally these two unit shale shakers are completely same to ensure the easy operation and maintenance in future.